When did you begin running? Started running the year before we moved to Arizona so it’s been about 11 years on and off. How did you get started running? I started as a way to lose weight and still be able to drink beer – it has not been successful. Favorite distance to run: I guess my favorite would be a half marathon as you can get away completing one with as little training as possible and you still receive a medal. I’m a medal junkie. Favorite race: My favorite race of all time is the Flying Monkey Marathon in Tennessee. It’s a very well organized small race. I have also become a big fan of the National Park runs and loved Yosemite and Glacier. 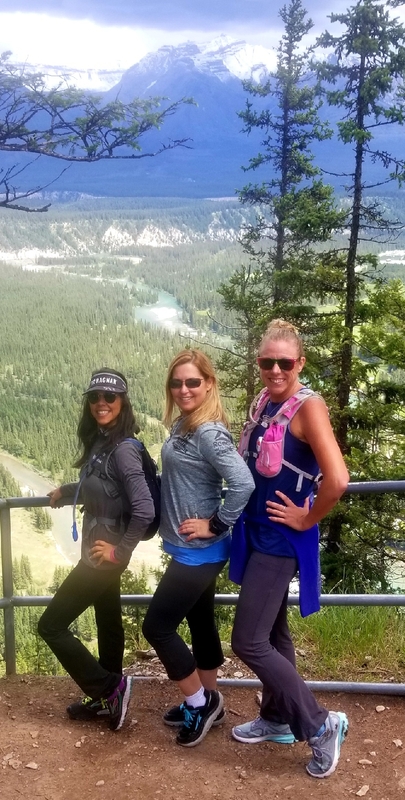 This year we just ran in Banff Canada in June and it was absolutely beautiful!!! So I guess I have a lot of favorite races. 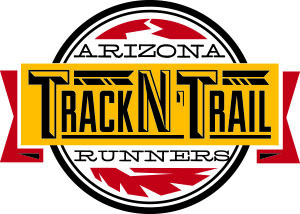 Favorite Track N Trail event: I love all of the AZTNT events – Jim and Linda are excellent organizers and make every event fun. If I had to pick one I would say “Fight Club” but you can’t talk about it. Favorite place to run: I would have to say anywhere that is downhill and not 116 deg. be the person that your dog or cat think you are and Of course size matters, no one wants a small glass of wine. Favorite Song to Listen to while running: my power song that has always motivated me to keep going is “Something to Believe In” Yes, I’m an 80s and 90s junkie when it comes to running songs. Advice for new runners: Do your planks they will help with your running. Also training for a race is probably a good thing. Buy a few pairs of shoes and rotate them. And finally Body Glide.